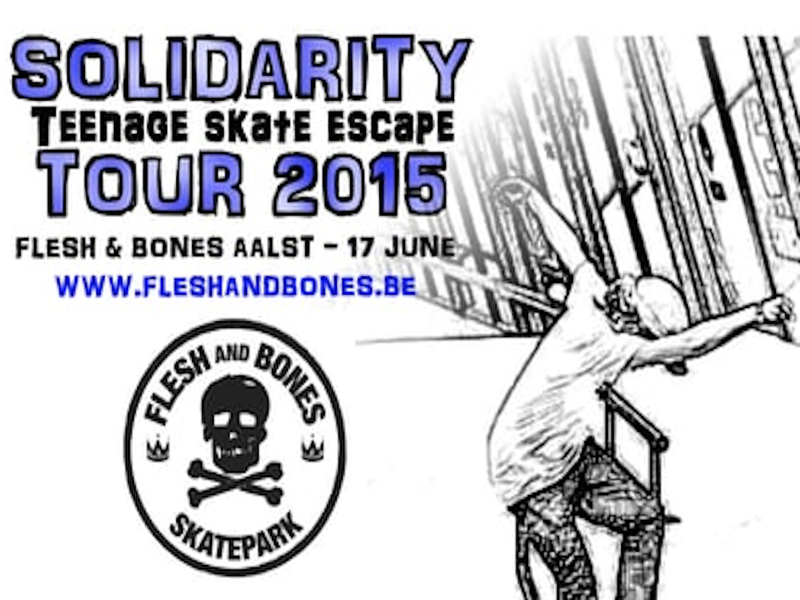 Solidarity Tour 2015 - “Teenage Skate Escape". Skaters under 16 only, Every Wednesday from April to July in 2015. Sponsored By: C1RCA, Creature, Imperial Motion, Independent, Krux, Mob, OJ’s, Ricta, Santa Cruz, Volcom, Z-Flex. In collaboration With: Flatspot Magazine, Area51, Burnside, Colloseum, Ladybird, Pier 15, Real-X, Skateland, SPU, Sweatshop, Skate Fabriek, Waalhalla, WSC, Flesh & Bones, Antwerp Skate Depot, Ramp Affairz.